Spend the upcoming weekend in San Diego enjoying everything California’s Beach City has to offer including San Diego Beer Week, Veteran’s Day and these top things to do. Building on the success of the previous San Diego Beer Weeks, the San Diego Brewers Guild is preparing for San Diego Beer Week 2017 (SDBW). 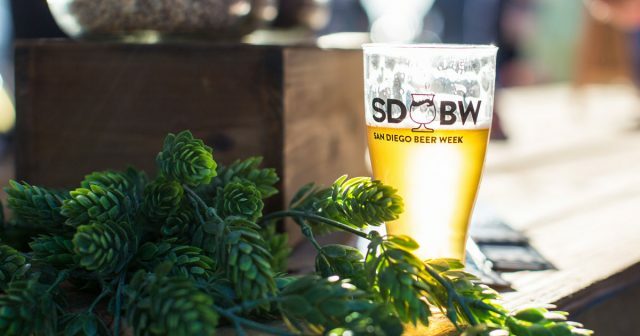 San Diego Beer Week is a ten-day celebration inspiring people to drink local, craft beer and promoting San Diego’s thriving brewing culture with multiple events happening across the county. Founded in 2000, the festival has grown to become the largest exhibition of Asian cinema in the western United States, and has showcased everything from future classics like Bong Joon-ho’s Memories of Murder (US Premiere) to luminary independent work like Patrick Wang’s award-winning In the Family (North American Premiere). Each year, the festival brings West Coast, North American, and World premieres of films from around the world to San Diego and gives audiences unique opportunities to discover international cinema. Parlez vous francais? Whether you speak it or not, this concert of French masters has something for everyone, from Jean-Phillipe Rameau’s exotically mythological opera suite to Gabriel Fauré’s darkly suggestive music for a tragic stage melodrama. The concert includes Maurice Ravel’s bright, brilliant, jazz-tinged Piano Concerto (as performed by French-Canadian Ravel specialist Louis Lortie) and Ibéria, Claude Debussy’s fantastic “impression” of a Spanish composer. Join us all day long for a fun-filled day celebrating our service men and women! Activities include Veterans Day Parade along Harbor Drive; NBC 7 & Telemundo 20 Salute to Service Festival presented by Thank You Heroes Home Rebate Program on the Midway Flight Deck; Blood Drive by The San Diego Blood Bank; Live Entertainment, KidZone, give-a-ways, and more onboard! “A Tribute To Heros At Home” – Recognizing Contributions By Veterans To Their Communities and Country. Join in delivering a greatly deserved tribute to all U.S. Veterans who served during the war years 1941 to 1945! We invite all San Diego region to participate in this tradition and welcome all sponsors, donations, and volunteers. Photo courtesy of Joey Hernandez. 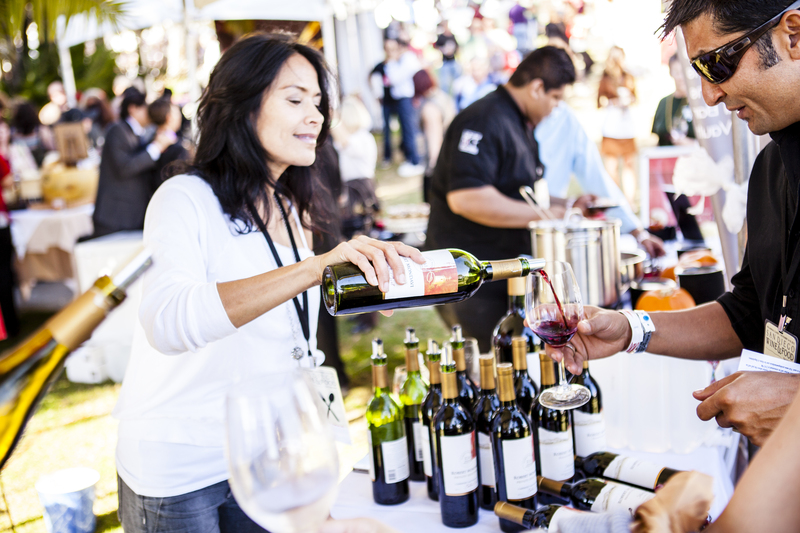 As the West Coast’s premier showcase of wine, beer, spirits and gourmet foods, the weeklong epicurean experience celebrates San Diego’s vibrant culinary community through wine and cooking classes, celebrity chef dinners, and multiple tasting events ranging from lessons in mixology to a rough and tumble fish taco competition. There is no better setting for the closing event of San Diego Beer Week than the Arroyo Terrace of the Lodge at Torrey Pines. 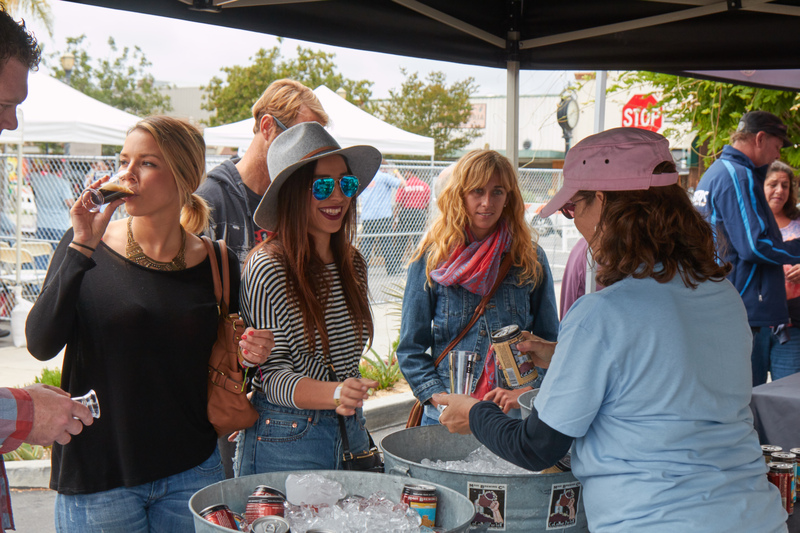 The Beer Garden brings together the best of San Diego’s breweries and local chefs to celebrate the craft beer movement. With 28 breweries and 14 chefs, the Beer Garden is a truly unique and delicious food and beer pairing event. Each admission includes unlimited tasters of beer and food. 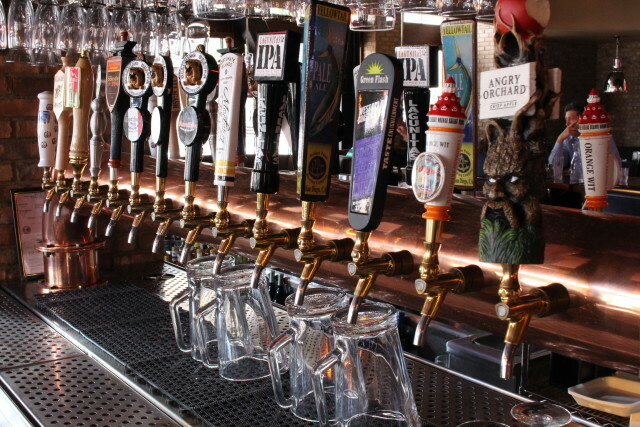 With more than 150 breweries, San Diego is the best place to find your perfect beer. 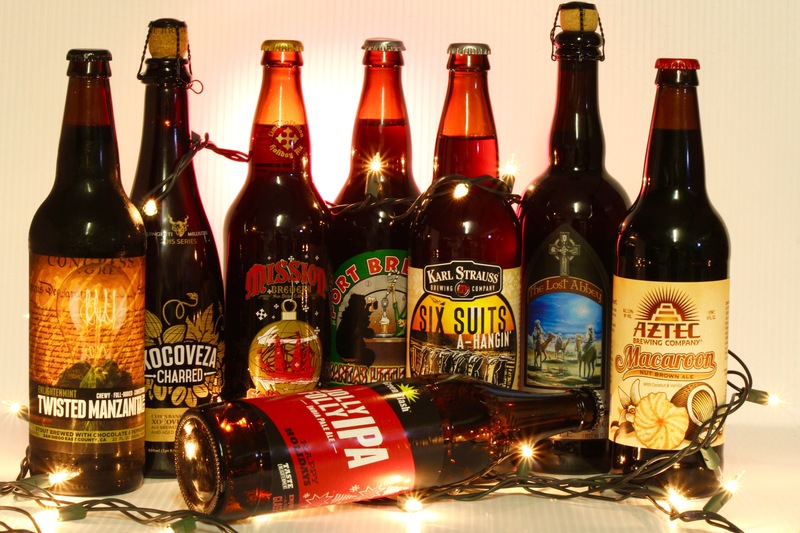 Looking for a few beers brewed with the flavors of San Diego and Mexico? Head to Barrio Logan for an amazing selection of cross-border brews and plenty of local favorites. Here are the 4 breweries and tasting rooms in Barrio Logan, from south to north, that need to be on your next San Diego beercation itinerary. 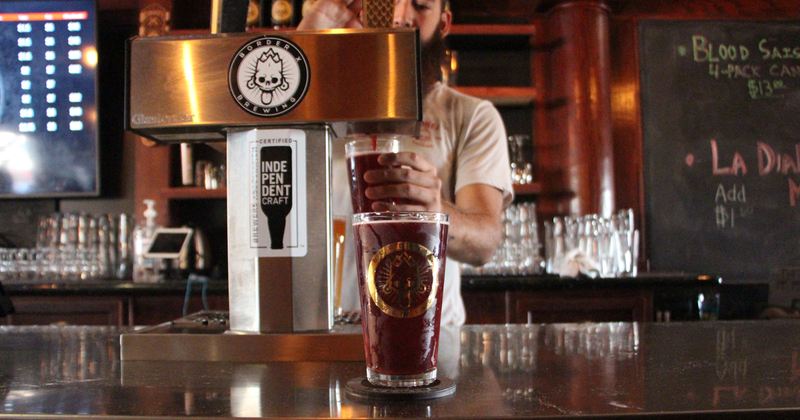 Border X brews the flavors of Mexico into each one of its beers like the popular Blood Saison, inspired by the traditional Mexican drink Jamaica. Don’t forget to sample the Horchata Golden Stout and Abuelita’s Chocolate Stout. In fact, mix the two for an amazing Mexican-style black-and-tan. Once you have your beer in hand: take some time look around and enjoy the amazing artwork the covers the interior, order a few tacos from Tury Tacos and finally head out to the patio to enjoy the sunshine and Barrio Logan. 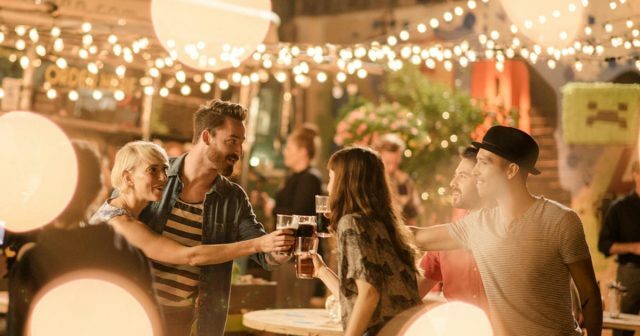 While the actual brewery is located in Vista, this central location boasts 30+ taps, an indoor bar and outdoor beer garden where guests can enjoy beer, music, food, and art from surrounding Mercado del Barrio artists and vendors. Make sure to order a Velvet Glove (Imperial IPA) or Counter Strike (IPA) before heading out to the beer garden. > Find out more about Iron Fist Brewing Co.
Brewmaster Brett Stampf’s (veteran brewer from Stone and Green Flash) goal is to go over and above with his brews. The core beers are a nitro-driven blonde ale, pale ale, IPA, dry-hopped brown ale and dry Irish stout. If it’s still on tap, order up a pint of the Alta ShakaAzacca IPA brewed exclusively with Azacca hops. Thorn Brewing just upped its capacity from a small North Park brewery to a massive 10,500 square foot brewery located in a former factory. To celebrate the expansion, Thorn is brewing up the Barrio Lager, a Baja-style lager made from both domestic 2 row barley and flaked maize. > Find out more about Thorn Brewing Co. 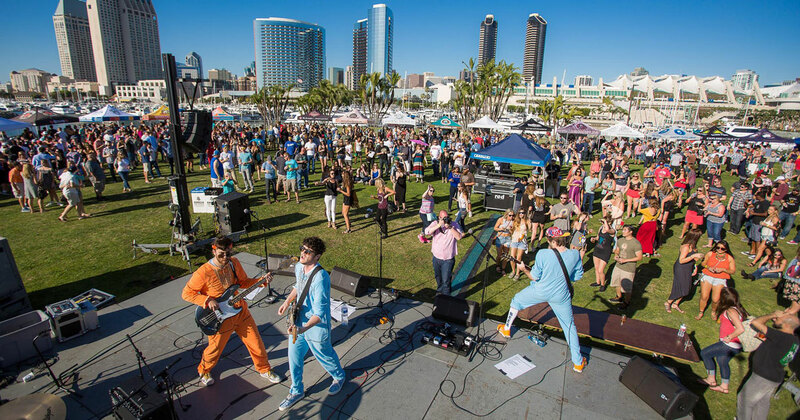 Here are 5 San Diego Beer Week events and festivals you don’t want to miss this year. This year’s ride will be better than ever with two separate departing times for different level groups. Beginner and intermediate level riders are welcome on this urban mountain bike ride which includes pavement as well as single track mountain biking through Florida Canyon and Balboa Park. Riders will experience a few climbs as well as some descents. Enjoy the Guild Festival with a commemorative tasting cup and unlimited beer samples. 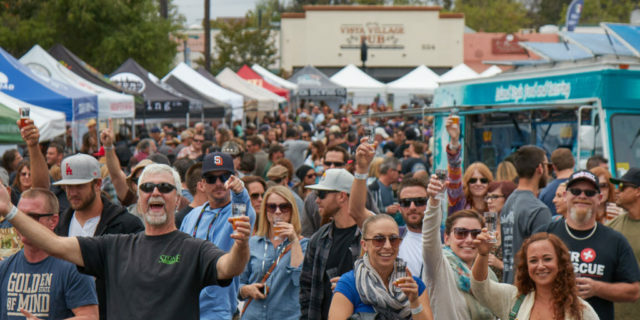 The event showcases San Diego County’s finest craft breweries! Food will be available for sale from local, craft-beer friendly restaurants and food trucks. And to top it all off, musical entertainment will be provided by some of San Diego’s most talented musicians! Celebrate the dark side of ales. Stone Brewing has combined their annual Pour It Black and Oakquinox beer festivals into one mashup just for San Diego Beer Week! We have been on a mission to find the best and rarest dark beers to share with our dark beer loving friends. 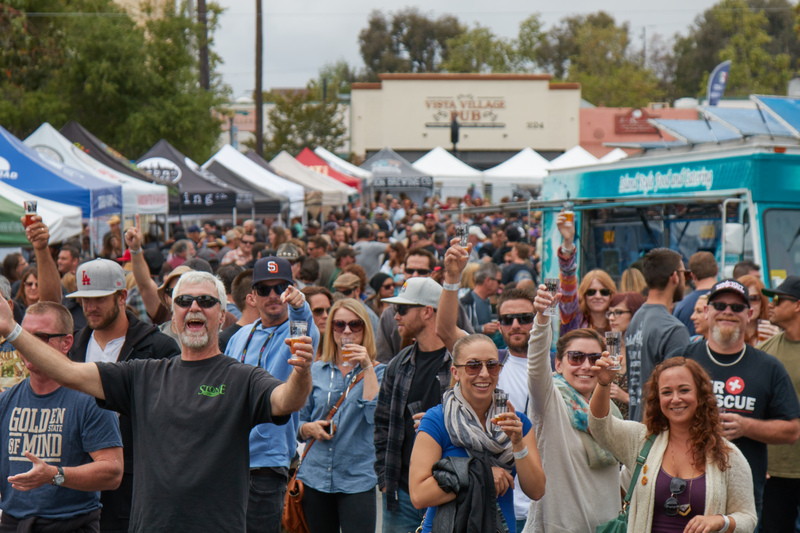 The spirit of collaboration has always been alive and well in the San Diego brewing community and collabapalooza is focused on highlighting this camaraderie and shared goodwill. Plus, Karl Strauss wanted an excuse to hang out with all of our friends and fans while sharing some incredible beers. Their goal is simple: rally 30+ independent, San Diego-based breweries to help us throw a killer party during our favorite week of the year complete with tons of good food, excellent vibes, and altogether fabulous people. If you’re going to be here for a visit, why not experience some of the breweries that can’t be seen or tasted anywhere else? A lot of the small brewers are doing creative and interesting things, experimenting with new techniques and ingredients, and doing small batches that are here one day and gone the next. Being small and independent gives them the freedom to play around and – while that’s not always a recipe for success – at least it’s interesting. 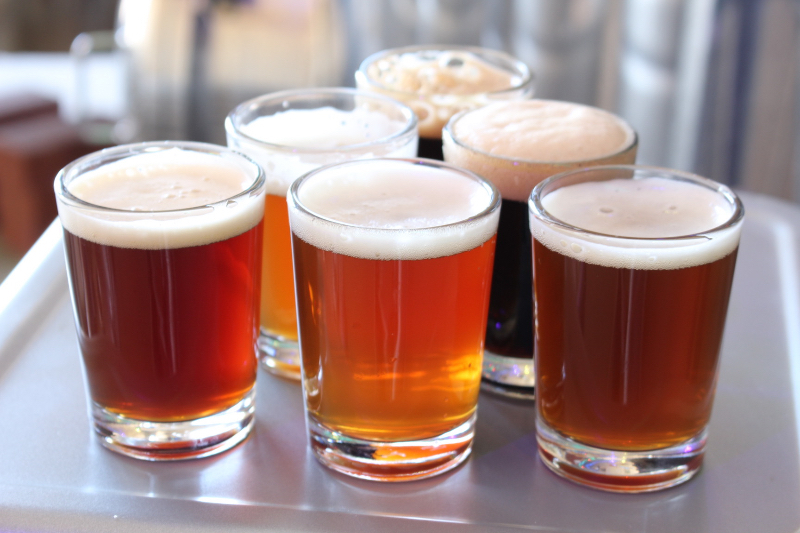 Most of the smaller breweries rely entirely on tasting room sales to stay afloat. Their systems (most of which are 10-barrel systems or smaller) can’t produce enough beer to go into full-scale distribution or even bottling. So the business model for these breweries is to sell everything they make through their tasting room. The typical tasting room at one of San Diego’s nanos is housed behind a rollup door in a light industrial office park; Not exactly a feature spread in Home & Garden. Concrete floors, simple seating, and inexpensive design are the hallmark of the San Diego small guy. But there’s actually a benefit to going without all the bells and whistles: it makes you focus on the beer. And, let’s face it, even our greatest brewery success stories began in humble basements or garages where our brewers first unleashed their true passion for making beer. It is important to point out a few things about San Diego’s nano breweries. First, with 120+ breweries in the mix, not all the small guys are making gold-medal beer. So, let it be said that just being small is no guarantee of greatness. Second, not all the new small guys are new to brewing. In fact, a number of the really good new breweries in town have been started by brewers who had considerable pro brewing experience under their belts. This family-run operation is headed up by a former brewer from AleSmith who knows his stuff. 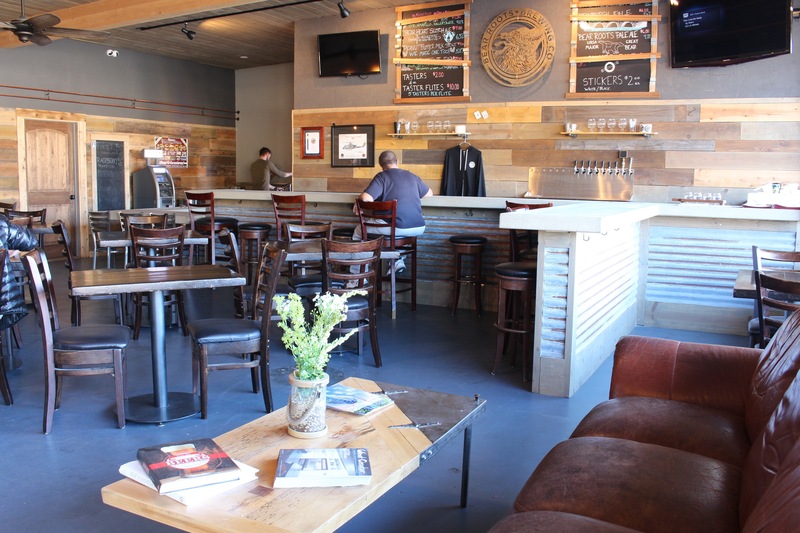 Their charming tasting room is outfitted with lots of comfortable, “crafty” touches, and top-notch beers. Their brewery is a quonset hut. Their bar is a small structure with a rollup door, and their tasting room is a sunny outdoor patio space. Despite the lack of frills, Bolt’s lineup is high quality and nicely varied, with excellent options for hopheads and malt lovers alike. 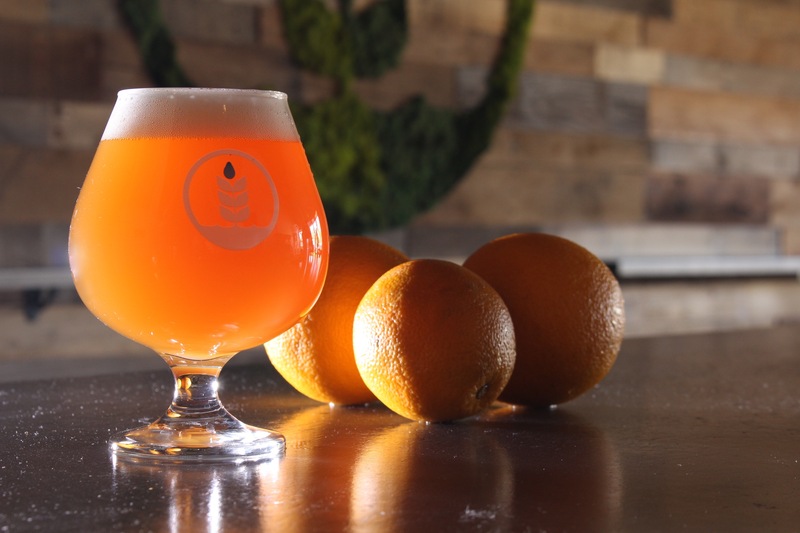 Set in a semi-residential neighborhood on San Diego’s most beer-centric street (30th Street), Fall is a cozy and welcoming place that offers a quality lineup and showcases the talents of a longtime brewer who brings his experience from Mission, Maui, and St Archer to this new endeavor. This family-owned-and-operated establishment sits inside a historic two-story house on the corner of Island and 8th Avenue. The brewer, who came up at Coronado Brewing, crafts a nice range of small batch, full-flavored beers, all of which pair well with the pub-style menu they offer (try the fish & chips!). 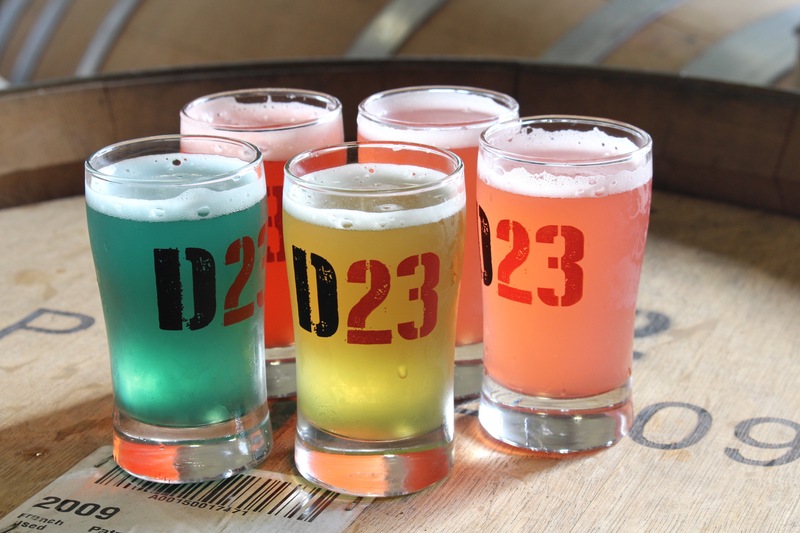 This new brewery offers an impressive mix of beer styles and interesting flavor combinations. The tasting room, though simply appointed, is spacious and open with plenty of room to move around. This little brewery came out of the gate with a desire to be different. They offer well-made hoppy ales as well as some malty ones. What distinguishes them is their selection of brettanomyces (wild yeast strain) beers, which produce oodles of sour, funky, fruity, fabulous flavors. 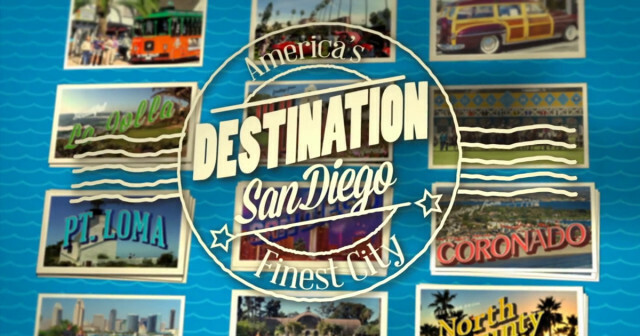 In this episode of Destination San Diego, you’ll take a tour of NTC at Liberty Station, San Diego’s newest arts and culture district. We’ll take a look back at the history of the Point Loma Lighthouse at the Cabrillo National Monument and Pacific Beach’s Crystal Pier. And, you’ll see a wonderful side of Ocean Beach’s history that might surprise you. 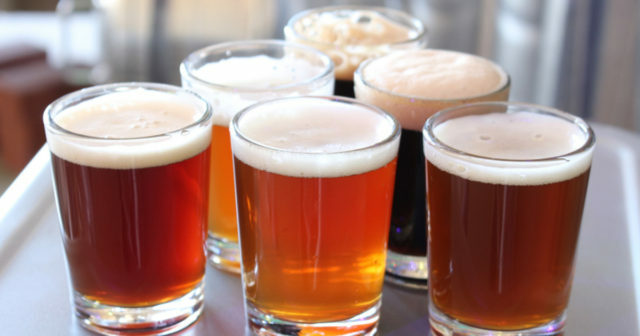 Plus, Stone Brewing Company Co-Founder and CEO Greg Koch will give you the inside scoop on San Diego’s ever-expanding craft beer scene and the best way to taste all that San Diego has to offer. Yes, San Diego is home to more than 100 awesome breweries, and each has its own tasting room (some have two or three!). 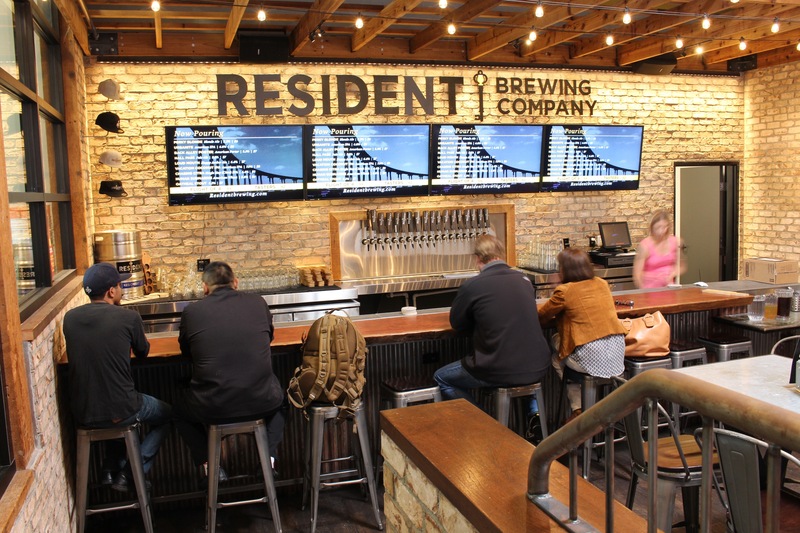 But, San Diego is a big county and, though many breweries are somewhat “grouped” in geographical areas, the majority of them are a 20-40 minute drive from downtown. So, how do you sample some of America’s finest beer from America’s Finest City if you’re only going to be downtown? It’s simple: There are a slew of great bars to choose from, if you know what to look for. And they’re all within a 20-block radius of one another, which means, you can easily sample a few different places while you stroll around. You can find San Diego beer on almost every menu in the city at this point, which is great, but the majority of downtown restaurants and bars are still pushing the mass-produced stuff harder than the craft stuff. 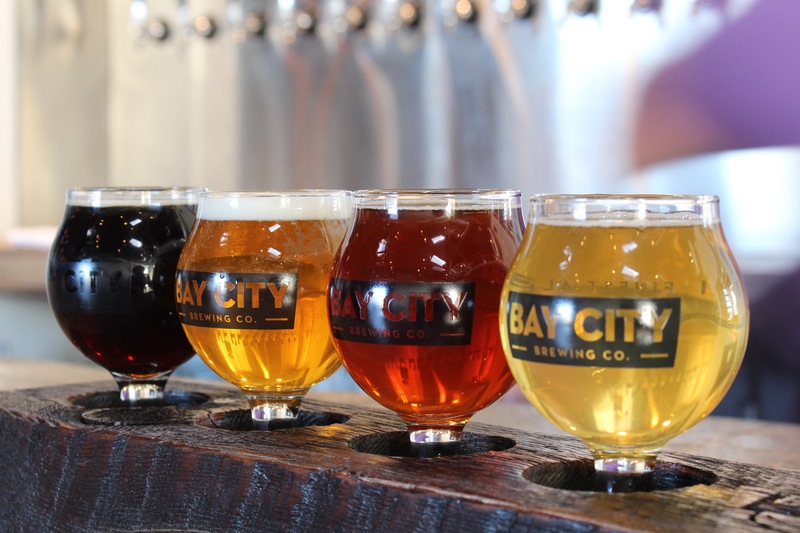 The eight places on the list below are notable for the depth and breadth of their craft beer taps and bottle lists, most of which often include at least 50% San Diego beers (though these things rotate and change on a sometimes daily basis). Just for fun, I’ve also noted the places that do some interesting craft beer cocktails. 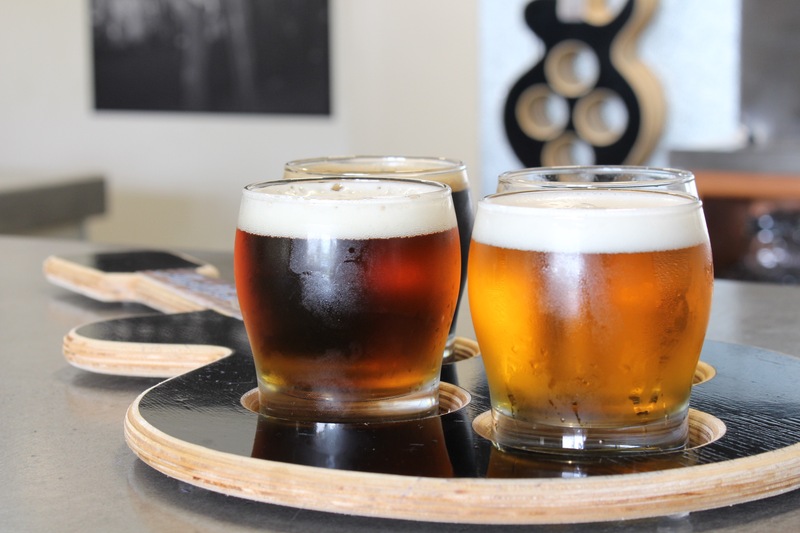 These offerings come in especially handy when craft beer lovers are out and about with craft-beer newbies…they offer a “kinder gentler” way to start appreciating the wonderful array of flavors available in great craft beer. Spacious and welcoming, with seating options both indoors and out, this craft-and-cocktail-centric restaurant is easy to settle into. In addition to its full menu of tasty and creative comfort food, Craft & Commerce has about two dozen taps of well-chosen craft beers. 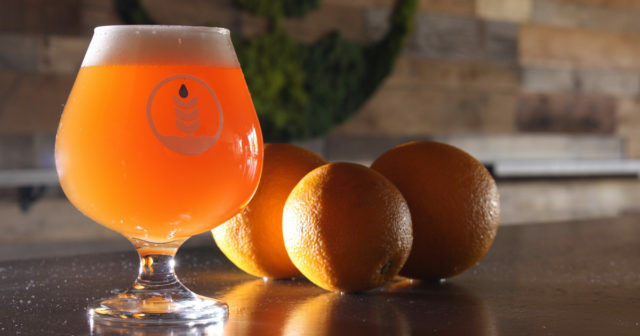 They also offer about five different craft beer cocktails, including a delicious IPA cocktail (IPA, grapefruit-infused asperol, orgeat, and lemon) and the Pony Boy (Ballast Point’s Wahoo Wheat with cynar, lemon, and honey). Feel like going on a little treasure hunt? You can’t see DTJB’s from the street (it’s tucked inside the courtyard that houses the Civic Center) but this classic San Diego beer bar is worth seeking out. The ambience is no-frills and the food is basic pub fare, but the tap list (about 30 handles) and selection have made it a downtown beer mecca. 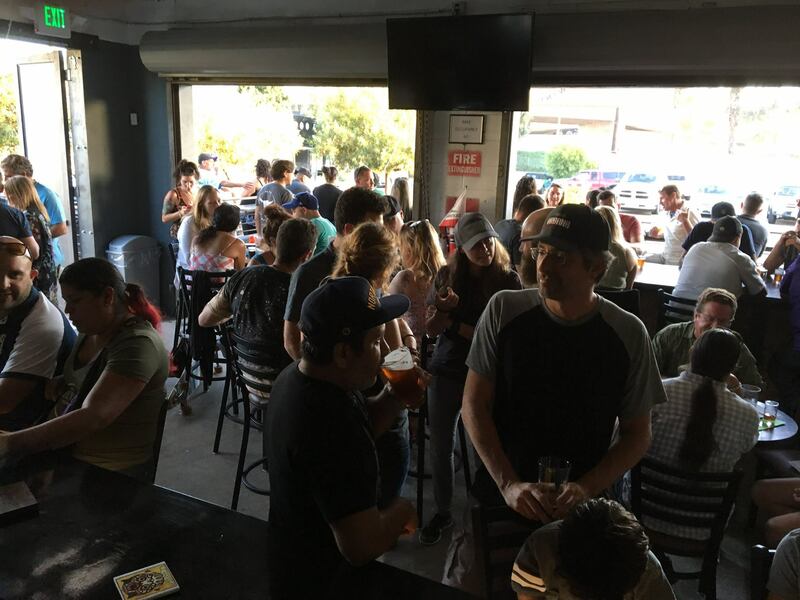 Also to its credit: DTJB’s was one of the first bars downtown to actively embrace, promote, and support the San Diego craft beer movement – so, big props to them. Here’s a place where you can taste a small lineup of beers brewed on premises in addition to a nice array of other craft handles. A large bar dominates the somewhat dark but nicely done space, which also has tables and booth seating. The 20+ tap handles offer good variety and tend to focus on easy drinking selections that pair well with the food on the full bar menu. One of the newer (and nicer) beer bars downtown, this spacious and tastefully designed space offers big windows, more light, and a much nicer view than most of its Fifth Avenue neighbors. Being up high, on the third floor, is a nice option, and it’s fun to have more than 28 taps to choose from while you look out at the bustling Gaslamp below. Head south on Fifth Avenue from Quad Ale House and, within a minute, you’ll be standing in front of The Tipsy Crow. This well-established bar has been offering patrons the “classic” pub experience for many years: the ground floor offers low light, dark wood booths, and small darkened spaces, while the second floor offers a more comfortable lounge-inspired setting. The tap list is a bit lean, but the bottle list, with about 80 selections, makes up for it. One more block south on Fifth brings you to The Hopping Pig, which has more in common with the Tipsy Crow than Quad Ale House. Those who crave the ambience of their favorite dive bar will find this space comforting, and their tap list, which comprises more than 30 handles, will provide more than enough choice to make your visit a tasty one. This smallish corner bar beckons those who appreciate the eclectic approach to watering holes. Filled with all sorts of curious objects and images, including mounted stuffed animals, rubber dolls, and religious iconography, Neighborhood also provides an eclectic mix of beverages. Their excellent lineup of 28 taps provides good breadth and depth, but the full bar also offers a deep list of bourbons and whiskeys, including their own homemade fireball hooch, which is well worth a try. Seekers of the light will de-light in the space that makes up Stella Public House. Much of the pub/bar opens to the outside and overlooks the Coronado Bridge and a large span of town that backs up to Petco and the new library. 30 taps, including two hi-tech nitro taps, provide an excellent selection of well-chosen beers, about half of which on average are local. Stella also had one of the more developed menus of craft beer cocktails, which includes a MAI IPA (Mai Tai mix with IPA and lemon), a Fizzy Gin (Belgian beer with Tanquerey, lemon, and agave), and a Breakfast Beer (Stoli Raz, Coffee, and Belching Beaver Peanut Butter Stout).